We’ve all had those mountaintop experiences. You know, those times when something or someone got us all fired up during a conference or special event. But then … we came down from the mountain and went back to work, right? True inspiration can happen on a mountaintop, but it sustains us in the valleys – and in the factories, the restaurants, the boardrooms, the cubicles, the athletic fields, or anywhere else we might work or go about life. 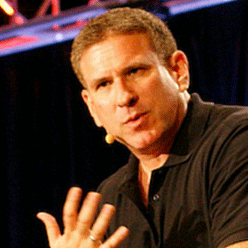 Leadership expert Steve Farber is known as one of the world’s top inspirational speakers because his message doesn’t fade away on your drive home from the event. It penetrates deep within you and transforms the way you think and lead. Why? Steve speaks from and to the most inspirational place of all – the heart. But he also brings years of experience, proven frameworks for success, and insights you can apply every day to live and lead with passion and purpose. 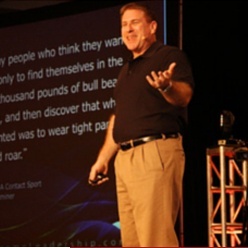 As an author, consultant, and inspirational speaker, Steve has been motivating audiences around the world for years to live as Extreme Leaders – and he can inspire you and your team, too. Steve never settles for an ordinary keynote presentation. 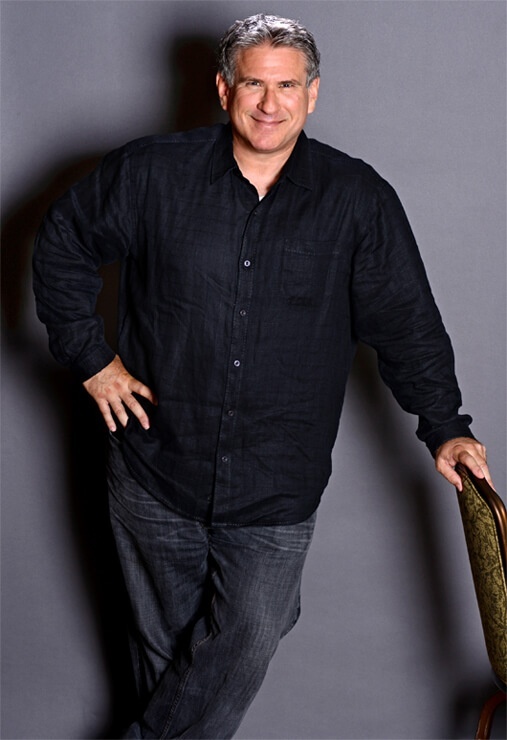 He engages audience members with a wit and wisdom that’s been honed from years of experience working with corporate clients and by delivering hundreds of presentations to audiences big and small. His core message is insightful and applicable to any business in any industry, and he delivers it in a way that challenges and inspires everyone in the room to commit to making a real difference through their work. Steve encourages audience members to rethink leadership, and his presentations create lively discussions about Extreme Leadership principles. The interactive talks are tailored to your business, which helps everyone grasp the insights and adopt the dynamic principles that will increase their productivity, contribute to a positive culture, and drive your organization forward to a better future. Defines a new leadership model that teaches you to operate fearlessly, take risks, learn from mistakes, and make the most of ongoing feedback. Encourages your passion and excitement for life by helping you start a journey of self-discovery, one that challenges you to define true success and learn how to transform the world into a better place one day at a time. Explains how to become a leader who goes above and beyond standard expectations by helping colleagues, friends, employees, and teammates become more confident in their abilities to accomplish personal and professional goals. Steve takes the time to learn about your organization, its strategies, its goals, and the needs of its employees. 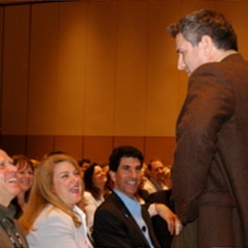 Then he delivers a customized inspirational keynote on leadership that your team can identify with, embrace, and live. The two most powerful forces in life are fear and love. One brings out the best in us, and the other the worst. In this presentation, Steve inspires audiences to fearlessly love others as he defines Extreme Leadership and explains how to bring it to life in your organization. This presentation is ideal for current, next-generation, and high-potential leaders. So everyone in your organization – from the interns to the C-suite – will reap the benefits of Steve’s insights on Extreme Leadership. Great leaders want to develop greatness in others. In fact, if you are an Extreme Leader, you’ll want to develop leaders who are “Greater Than Yourself.” This presentation, based on Steve’s best-selling book, focuses on the essential steps of developing the leaders around you. This approach helps you realize your leadership potential, while bringing out the best in your colleagues, friends, teammates, and anyone else in your sphere of influence. Expand Yourself – A true leader fosters leadership qualities in others by personally growing as a leader. Discover how to expand and enhance your personal abilities as a leader by developing a deep sense of who you are – so you can give it all away. Give Yourself – The giving of knowledge and resources is a powerful practice of leadership. Learn how to identify leaders who need what you have and how to give the best of you away to help create the best in them. Replicate Yourself – Your personal influence can transform an organization, so learn how to drive meaningful cultural change by passing on the best of what you have to offer in ways that reach far beyond your own relationships. Greater Than Yourself is more than a cool idea around mentoring. 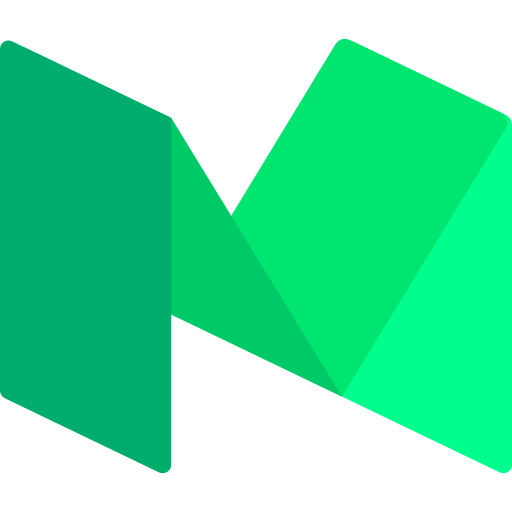 Steve presents it in a way that not only inspires, but provides the actionable tools you’ll need to bring out the best of everyone in your organization. Every organization thrives when its members hold themselves accountable. When we’re accountable to ourselves, we’re more naturally accountable to those around us. Extreme Leaders realize this and lead accordingly. They don’t care about their titles; they do whatever it takes to get the most out of themselves and their team. They practice Radical Accountability. This type of Radical Accountability is a foreign concept in many organizations, but not those that are committed to the highest levels of excellence. Allow Steve to inspire and equip your team to move one step closer to creating a culture of Extreme Leadership and Radical Accountability that delivers long-term results for everyone involved. Do you have a Plan B? Many people never start a project without one. Some give it more focus than Plan A! Well, sometimes you need to burn the boats and go into an adventure as if there’s no turning back – no Plan B. You need to take the risks, believe in what you’re doing, and work without a net. In this inspirational keynote, Steve not only preaches this concept but practices it. In fact, he gives the audience complete control. That's right, complete control! The discussion topics and themes are all in the hands of the audience members. Many professional speakers never stray from their script, and heaven help them if a cellphone rings in the audience and interrupts their timing! Steve embraces the uncertainty that comes with audience participation and feedback, because he knows that uncertainty is part of life in every successful organization. His responses are unscripted but based on years of research and work. In other words, he has the confidence of his preparation as he walks across this tightrope. Steve introduces himself, defines Extreme Leadership, and presents a few basic but challenging ideas to the audience. The audience works in small groups, discussing leadership based on Steve’s guidelines. Then each group comes up with its most critical question about leadership. Steve responds to each group's question and, when appropriate, leads a deeper discussion with the entire audience. Steve and the audience then discuss the principles of Extreme Leadership in an open forum. Steve loves providing this presentation, and you will love it, too. It’s fun and unpredictable, and it always gets to the heart of what matters most to the people who attend it – because they help create it. It teaches them the key principles of Extreme Leadership while modeling what it looks like to prepare, take risks, and trust in yourself and others. Steve has a counter-intuitive mind that comes up with unconventional ideas. That’s what makes him such an inspirational speaker – he’s fresh and unpredictable. At the same times, his ideas, principles, and insights are rock-solid and proven. 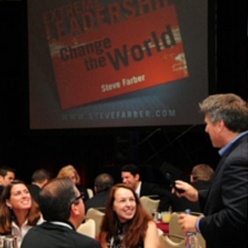 As the president of Extreme Leadership Inc. and founder of the Extreme Leadership Institute, Steve is dedicated to understanding and spreading Extreme Leadership throughout organizations around the world. He has written three bestselling leadership books – Radical Leap, Radical Edge, and Greater Than Yourself – that have received critical acclaim from The Wall Street Journal, Fast Company and other media outlets. These business fables have effectively spread the message of Extreme Leadership and helped countless entrepreneurs, company executives, managers, and other aspiring leaders understand what it takes to lead and inspire others. As a senior-level leadership coach and consultant, Steve has been recognized as one of Inc.'s global Top 50 Leadership and Management Experts. But he’s not just a sage on the stage. Steve ran his own financial services company before shifting his course toward leadership development. Since then, he has held leadership roles in a several prominent organizations. Among them: Director of Service Programs at international training consultancy TMI, and Vice President and Official Mouthpiece (seriously, that was printed on his business card) at Tom Peters Company. Steve started Extreme Leadership Inc. in 2000 and serves as the president and CEO. He also is as a member of the Transformational Leadership Council and vice chairman of the board of directors of Up with People, a global leadership program for students between the ages of 18 and 29. Steve lives out his passion for coaching and inspiring Extreme Leadership at all organizational levels, and he does it with rich, relevant content and an energetic style that inspires and equips you for leadership today and to lead in the future. When it comes to finding an inspirational speaker, don’t settle for the mountaintop experience that quickly fades away. Steve educates audiences with practical and applicable insights, and motivates them to live daily as Extreme Leaders – men and women who make a difference in the lives of each other and to health of their organization. Do you want your business to grow? Do you want a culture that cares? Do you want lower turnover and higher profits? Do you want satisfied customers and a loyal workforce? Then you need Steve Farber.